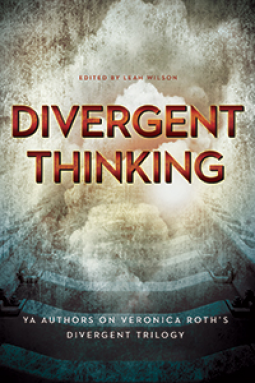 Divergent Thinking is a new non-fiction title featuring short essays and discussions from a selection of YA authors, all based around various aspects of Veronica Roth’s best-selling Divergent trilogy. Each of the contributing authors talk about something they personally took away from the series and topics range from how the factions correspond to psychology’s ‘big five’ personality traits and what true bravery really is, to mapping out the landmarks of the series onto modern day Chicago and how family dynamics shape the series. Before delving into the different takes on the series we have a short introduction from editor Leah Wilson who comments on why the Divergent series has been compared to another popular dystopian trilogy; The Hunger Games, and how the two differ. Although these types of ‘essay’ books won’t appeal to everyone this quick read contains some interesting ideas and thought-provoking pieces for big fans of the Divergent series. Whilst perhaps unnecessary to furthering your enjoyment of the trilogy it is full of new perspectives that may make you think differently about the world created by Veronica Roth. A final note: make sure that you have read the entire Divergent trilogy before picking this up as it does cover topics that contain spoilers for all three books! That, my dear mythological-loving friends, is what this marvelous book says on the front cover. I can’t quite remember where I saw this book for the first time, but I knew straight away that it was imperative to purchase it, knowing that my well being would be significantly better after reading it. And I was right. 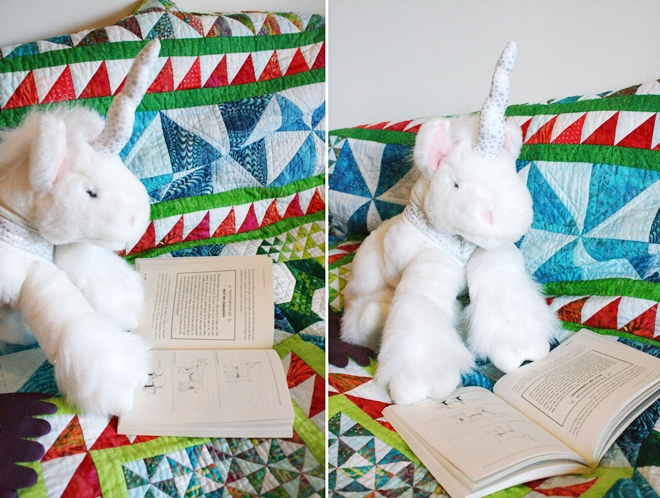 Raising Unicorns is just what it says it is: a guide to starting and running a Unicorn farm, and having read this book in one exciting sitting just last week after I ripped the packet from mailman’s terrified hands (my response to his wide-eyed confusion was to say, in a hushed, slightly psychotic voice ‘I’m going to raise unicorns; this is the manual’), I have decided that I now want to run a magical farm. But seriously, this book was simply the most wonderful and sunshine-filled how-to book I’ve ever – and probably will ever – read. Before the book really gets started, there is a short quiz/questionnaire that you have to read to determine what kind of unicorn farmer you are (or even if you are one at all). My result was ‘Mostly Bs: Que Sera, Sera’, which told me that ‘You take business and life as it comes and cheerfully glide among the candy-coated clouds in a blissful state of unconditional acceptance. You get to hang out with unicorns! Why wouldn’t you be happy all the time?” And for a manual that tells you how to raise these spectacular creatures, it was pretty accurate, I thought. There are 4 main parts to this manual (Strategy, Caring for your Unicorns, Implementation, and Diagnosing Success), each with several chapters containing various topics and handy tips and hints along the way. In amongst these are Testimonials from people who have had great experiences with their Unicorns farms, and Case Studies of people who, unfortunately, did not. ‘Wisdom from a Retired Unicorn Famer’ also makes an appearance throughout, as does Fancy Fun Facts and short and sweet Unicornomics Principles. The diagrams and pictures scattered on this book’s sweet pages are extremely helpful and beautiful drawn (thanks to Kevin Hedgpeth). Through reading this book I have not only learnt the pros and cons, the ups and downs, the ins and outs and the yays and neighs (ha! Good pun, Anjali...*rolls eyes at self* ...cross it out...) nays of raising unicorns, but I have learnt a few very specific things which I will briefly share with you now. There are 4 kinds of unicorns, and a horse with a cardboard cone strapped to its forehead is not counted as one. Unicorn farmers do not chew on a strand of hay, they chew on red licorice. Trojan Unicorns are fun to make and effective at spying on the competition. And you can’t get blood from a turnip, but unicorns can. If your goal in life is to have a Unicorn Farm, or if you are mildly interested in the concept, or even if you simply want a light-hearted, sparkle-filled read, then this is the book for you. I defy anyone who says that they have read this book cover to cover and have not a) felt the intense desire to run out and purchase a unicorn, b) been so happy about everything that a unicorn has simply materialized in front of them out of sheer joyous energy, or c) come to believe in the existence of Unicorns 110%. ‘Is this book really that awesome?’ you ask. Regular blogger Ria, fuses fashion and books and lists off her top 5 best dress literary characters for us! 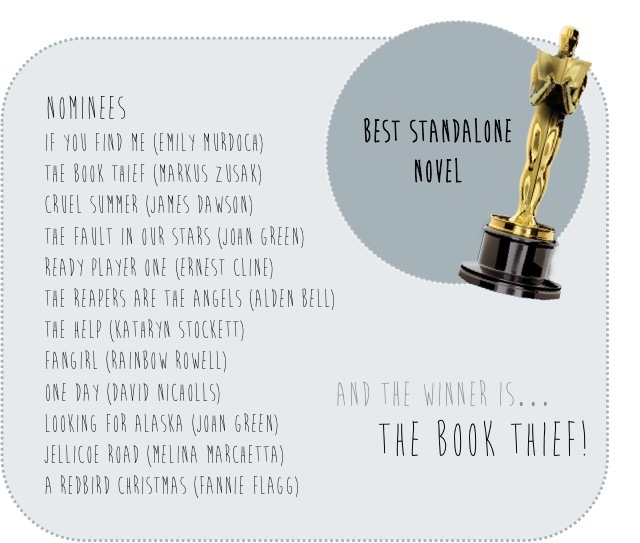 In honour of the 86th Academy Awards, we hosted our own version of the Oscars in our latest group collaboration, Blogger's Bookshelf Literary Oscars! 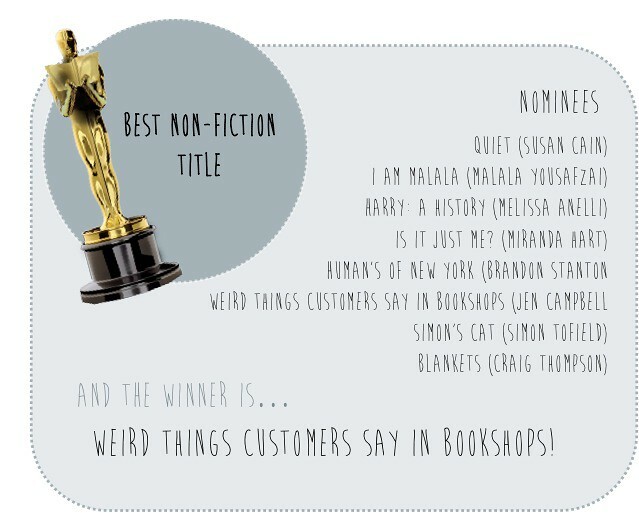 Featuring nominees selected by the members of team BB with the winners were chosen by our readers via a voting form and there was some surprising (and not so surprising) results! April's group collaboration will be an opinion piece focused on Series vs. Standalones! If you'd like to get involved email bloggersbookshelf@gmail.com for more information or send us your opinions via twitter to @blog_bookshelf! Panic is an annual, and somewhat deadly, competition played by the graduating teenage residents of Carp. The prize is enough money to get them out of this dead end town and most of them will do anything to try and get it. The story revolves around several of the players, each one with their own specific, and varying, motives for taking part in such a dangerous game. Throughout the book we get to know Heather, Dodge, Nat and Bishop as we learn more about their personal struggles and follow them through the challenges of Panic. With such a unique and intriguing concept I was really looking forward to reading Panic and when it drew me in at the beginning I had high hopes. Sadly as I read on I felt that it perhaps didn’t quite live up to the premise as amongst the great moments there were several that I just found too ridiculous. I wanted to be able to immerse myself in the way of life of this intriguing small town and try to understand why the teens would risk their lives playing the game, however more extreme moments would pop up every so often and draw me right back out of the story. I also felt that I wasn’t able to fully buy into the idea itself after being left with quite a few unanswered questions due to a lack of world-building. Without going too far into ‘spoilerland’ I was disappointed with the unrealistic way that there didn’t seem to be much in the way of consequences for the actions of those participating in such a dangerous and extreme game as Panic. As I read the story I felt that the idea behind it could have been to share a meaningful message however the anticlimactic way the story ended left me feeling disappointed not to have found what I was looking for. Unfortunately my high expectations of a book I wanted to love were not met, but at the same time I genuinely did enjoy parts of the story as well as the clever initial concept. As usual Lauren Oliver’s writing style was poetic and enjoyable to read and her exploration of the teens friendships and family lives was certainly interesting. 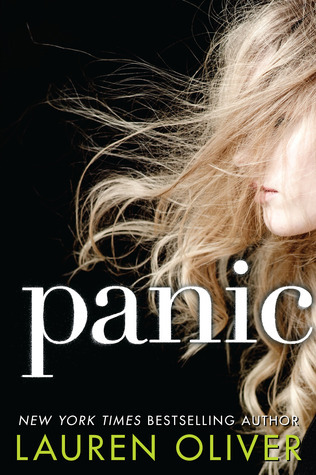 Panic isn’t a bad read, in fact at times it’s a pretty exciting one but with several elements I found it difficult to get on board with, I can’t say I wasn’t disappointed. I wish I could say I loved Panic but instead I’m still torn, so for me it was a tricky one to rate and in the end I plumped for a straight down the middle 3/5. Miranda Priestly, The Devil Wears Prada by Lauren Weisberger. The Devil Wears Prada indeed. Th boss from hell Miranda Priestly is certainly not someone you want to cross swords with but boy does this lady know how to dress. As editor in chief of Runway magazine her taste is, of course, impeccable - much like her non-fictional counterpart, Anna Wintour. 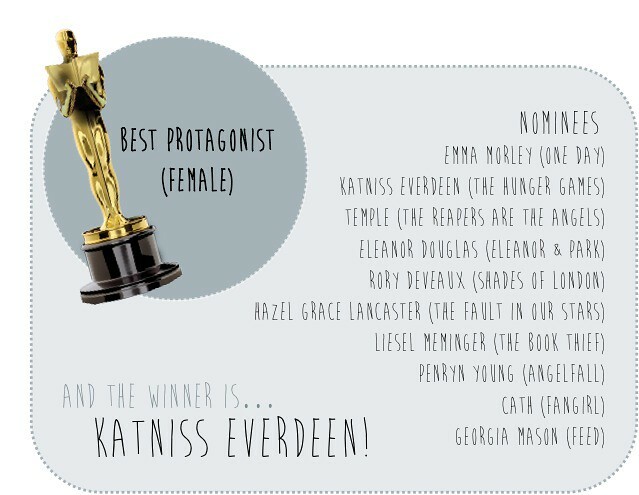 Effie Trinket, The Hunger Games series, by Suzanne Collins. Avant Garde, over the top and totally one of a kind, Effie’s style may seem questionable at times but you have to admit the woman dresses to the beat of her own drum - which exactly what fashion should be about! Caroline Bingley, Pride & Prejudice by Jane Austen. The epitome of high fashion in the era, Caroline is the arguably the most exquisitely dressed character in the book. Despite her awful character traits I still consider her a lady of class when it comes to style. Esther Greenwood, The Bell Jar by Sylvia Plath. Esther lived a life of glamour with a wardrobe to match that would be envied by many. Sadly all the pretty dresses and gorgeous trinkets can only go so far to mask the hidden pain. A tragic yet very beautiful character. Jay Gatsby, The Great Gatsby by F Scott Fitzgerald. 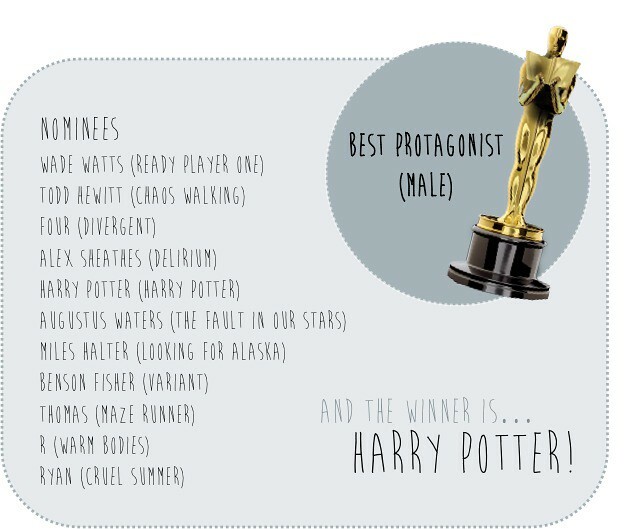 We shouldn't be leaving the boys of this list and Gatsby is definitely one of the most decadently dressed of the lot! Living in the height of the jazz age, Gatsby’s wardrobe is reflective of the era in suits that scream excess and high fashion. 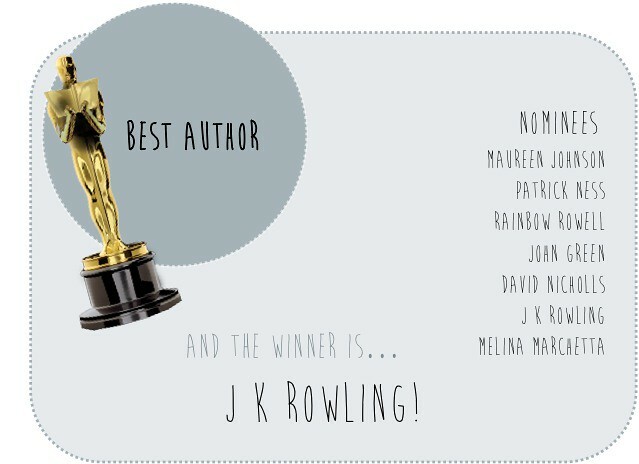 thanks to team BB who helped put together the nominee shortlists and both Katarina & my dad (!) for help with the award graphic. 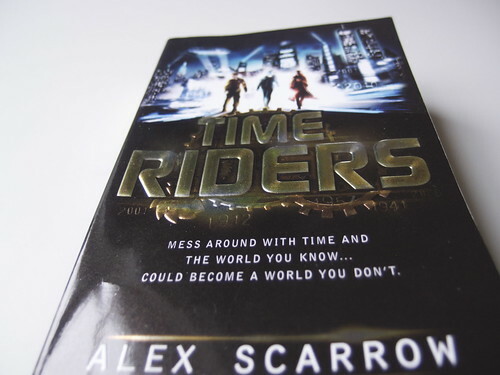 Time Riders by Alex Scarrow is a story about three teenagers from different times that are all saved a few seconds before they're supposed to die. They're saved by an old man who claims to have another option than dying. Liam was supposed to die on the Titanic in 1912, Maddy was supposed to die in a plane crash in 2010 and Sal should've died in a fire in 2026. Nut now they find them selves being a part of a team that's supposed to fix changes in history that are a caused by time traveling. I liked the concept of Time Riders because lets be honest, three teenagers traveling through time to fix things when history has been altered by other time travelers sounds pretty exciting. I also have to say that the concept is pretty well executed. There’s just a few details that doesn’t quite add up in my mind but I guess that’s a general problem when writing about time travel. Some things just don’t make sense. But they’re just details, nothing that makes me too confused or that takes away too much of the reading experience. But still, there’s a few things that I don’t really get and that’s always a little annoying. I have a pretty neutral feeling towards the characters in Timer Riders. I don’t love them, I don’t think they’re that original and I don’t care that much about them. But I think they’re pretty decent. They’re not too annoying, too stereotypical or too unbelievable. Let's just say they’re decent enough. The story line is interesting enough that it kept me reading for a while every time I picked up the book. My problem was that when I stopped reading I never felt that eager to pick it up again so it took me a lot longer to finish this book than it usually does. Alex Scarrow’s writing style in this book doesn’t really speak to me. It’s not bad or sloppy but I think it’s a bit too obvious that it’s written for a younger audience and I don’t think that has to be the case with young adult novels. It might sound like this review is going in a very negative direction and that might be a bit unfair because this is not a bad book. It has an interesting story line and pretty well written characters. But there’s a just few things that affects my reading experience in a negative way. I feel like I would have enjoyed this much more if I was 11-13 years but I have to write this review based on my personal reading experience. And to be honest I don’t really think that’s an excuse because I’ve read so many excellent young adult novels that I’ve really loved even if I’m a lot closer to 30 than being a teen. Time Riders is an okay young adult adventure book. It’s fun and fast paced, but don’t expect too much more. I don’t regret reading it because it has some really interesting chapters and I do really like the whole concept of the story but I wish it was a bit more well written. I give Time Riders by Alex Scarrow 3/5 stars. A story of a four very different people, living under the same roof, all facing different challenges and possibly heading towards their own meltdown as well as the meltdown of their family unit. French has created a family out of four very different characters. However the voices in the story are mainly focused upon three of these, there is the Mum, Mo who is going through a mid-life crisis and can't not talk to her teenage daughter without having a huge argument. Dora the self obsessed teenage who is convinced everyone hates her and that eating only white foods will make her loose weight (that includes marshmallows, white chocolate and icing). Finally there is Mo's son, the camp, kind-hearted and over the top Peter who has renamed himself Oscar. The story line itself I found enjoyable, French touches on some very dark and disturbing issues which can effect family life, from affairs to the dangers of talking to strangers online all whilst keeping the story relatively lighthearted and moving along at a reasonable pace. I did not however see the 'extremely funny' side of this book which is quoted on the cover. 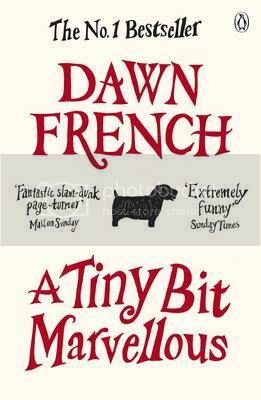 I find French to be hilarious and extremely entertaining and assumed her books would be the same. I was surprised that her humor has not lit up this book. I absolutely adored Oscar as a character, he was sweet and caring and his insatiable use of vocabulary was gripping and a delight to read. This of course was in contrast to the vocabulary used in Dora's chapters. The tiring use of swear words, repetition of 'like' and dire teenage language nearly made me put the book down on several occasions. I found myself skim reading her chapters as much as possible to just get them over with. As I said I liked the story line, but lack of humor and over use of swearing and teenage speak killed this book for me. I'll give it 3/5 and I think that is being being generous. That’s what it said on Good Reads. Cheerleaders and witches? Yeah, go on then. Bring it on! And it didn't disappoint. Hexed tells the story of Indigo, a high school cheerleader who stumbles into a life of witches and warlocks one day when the old family Bible that her mother protected is stolen. Indigo always thought her mother was slightly mad with her ownership of an occult shop and her strange ways, but all is revealed after she meets Bishop, a handsome stranger, who stumbles into her life with talk of magic and sorcerers. Indie learns that she is more than just a high school student in a cheer leading outfit, she is a witch, Bishop is a warlock and the people who stole her mother’s old family book were sorcerers. Now Indigo must get the Bible back from the bad guys, and try not to die in the process. I really enjoyed this book. It was fast paced, but had the right amount of action scenes and ‘normal teenagers at high school’ scenes, and the characters were really great. I actually quite liked Indigo as a main character (which is saying something, because I don’t really usually like main characters a whole lot), and I really liked some of the minor characters like Paige, Indie’s next door neighbour. Bishop, as the main male of the story, was a bit cocky but sweet, if not a bit annoying, and I can imagine his smile would make the ladies melt. 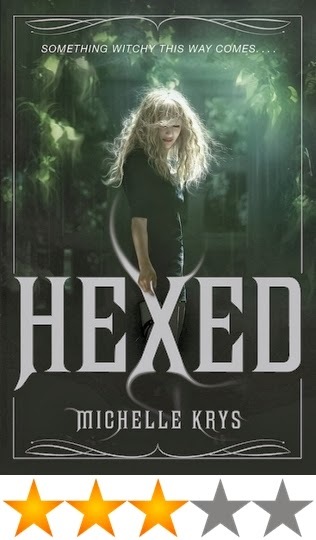 With teenage drama mixed in with magic and spells, action, death, love, and humour, Hexed was a good read, and at only 300 something pages, it was a fast one too. If this book sounds like your type of thing, do have a read of it when it comes out later this year. I’m looking forward to reading the next one, whenever that is released. This book was provided for me by NetGalley. **This review contains spoilers for book one - click here to read my review of The Culling. After reading and reviewing The Culling (book one in The Torch Keeper series) last year I was eager to find out how the story would progress in the sequel. 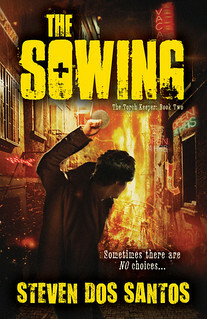 Luckily for fans of the first book The Sowing takes an interesting direction and does not disappoint, bringing just as much in the way of twists, turns and gore. In The Sowing we are thrown right back into the action, with Lucian ‘Lucky’ Spark having won his Trials. Although now training with the Establishment, by night our memorable main character Lucky is also part of the rebellion. Still of course trying to do everything he can to protect little brother Cole, things take a turn for the worse when an assassination attempt by the rebellion doesn’t go according to plan. The fall out leaves Lucky and his fellow Establishment trainees with the devastating news that they will be sent back into the Trials, this time as Incentives. Having earlier mentioned the action and gore, my favourite parts of this instalment were actually the world and character building elements. In the first book we are introduced to Lucky and the world around him including the Establishment, run by those responsible for putting him and the other recruits through the horrors of the Trials. However in The Sowing we are treated to various interesting snippets of information explaining more about how the society came to be this way as well as some real revelations about the Establishment. The balance in book two seemed to work very well as the first two parts of the novel were action-packed with the third providing more of an insight into the world of The Torch Keeper. The story ended on a strong and intriguing note that makes picking up the third instalment next year all the more appealing, despite the fact that this is not my favourite YA dystopian (there’s A LOT of competition in this genre!). Having said that I do believe that The Torch Keeper series is rather underrated, especially amongst this community where I personally haven’t heard that many bloggers talk about it. If you like your dystopian tales dark with plenty of gore this may be the series for you! Described as ‘the novel that defined the Beat generation’, On The Road chronicles the story through the eyes of Sal Paradise as he meanders through 1950s America. The novel is split into various parts, each following Sal as he travels across America with some of his closest friends, including the feckless flight-risk, Dean Moriarty. Based on Kerouac’s own life with his friends (and founders fathers of the Beat Generation) On The Road is a story of love, friendship and ultimately freedom of the open road. Though its centered on Sal and his comrades, the real protagonist of the tale is the America itself in all it’s tragic beauty. I really, really, really wanted to like this. 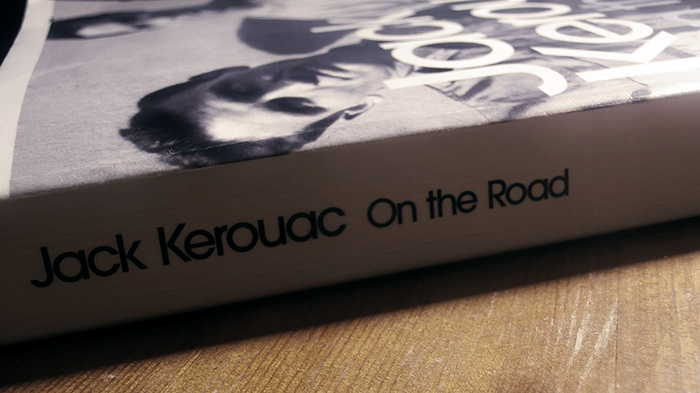 On The Road is probably one of the most hyped up books in American literature – and definitely one of the most quoted – and I think it’s this hype that really made the book disappointing to me. The novel started off well, Sal as a character (even though he’s based on Kerouac) felt like Nick from The Great Gatsby in his storytelling, his descriptions of the places he visits in vivid, as are the emotions he feels throughout the journey. But as the book progressed I found myself getting more and more irritated by how pretentious and insincere some of the characters were, particularly Dean Moriarty, who seems to fling himself from coast to coast, marriage to marriage, with little consequence. Maybe that’s how I’m supposed to feel about them, but in the end I felt little sympathy when these characters did break down – I hate to say to say it but sometimes they really deserved what they got. The whole novel in itself felt like a road trip. But as with any journey, yes, there are the incredible life-affirming moments where nothing else matters but the beauty of the open road. But there are also moments when you're sat in the back of car watching the miles clock up on the dashboard waiting for the next exciting thing to happen. On The Road isn't a bad book, but the balance of eye-opening narrative to the tedious listing of events was just off for me. It’s a shame, because when Kerouac does get the writing right, it’s wonderful and his use of language can be breathtaking. This may not be one for everyone, but I think I'd be willing to give this another go, perhaps at a slower pace to really enjoy the language of the novel rather than the plot and its characters. For lovers of…Allen Ginsberg, Into The Wild (2007) & Paper Towns by John Green. Erin shared her Top 5 Favourite NetGalley novels, and our bloggers got all romantic with our Valentine’s Day themed February group post! 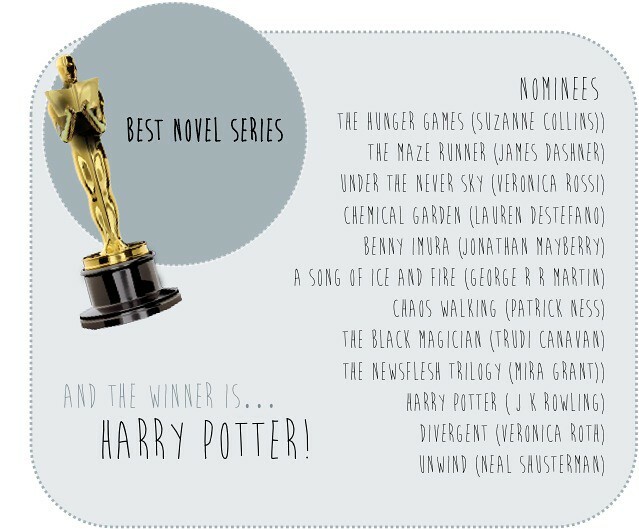 Don’t forget our March group post is celebrating the Oscars by hosting our own Literary Awards! Vote for by the 12th March to make sure your favourite nominees win!